House DJ and producer extraordinaire Matt Warren isn’t a household name, but his arrangements and mixes have likely played in many of your households without you knowing it. His production work on the Mortal Kombat soundtrack with KMFDM and Sister Machine Gun earned him platinum status. His remixes of Bjork’s “Isobel” and “Love Like This” from Faith Evans earned him a couple more platinum records. While he’s no stranger to original tunes, this album marks the first time in 10 years that he has put out his own music… and some are already heralding it as the birth of a new era for house music. 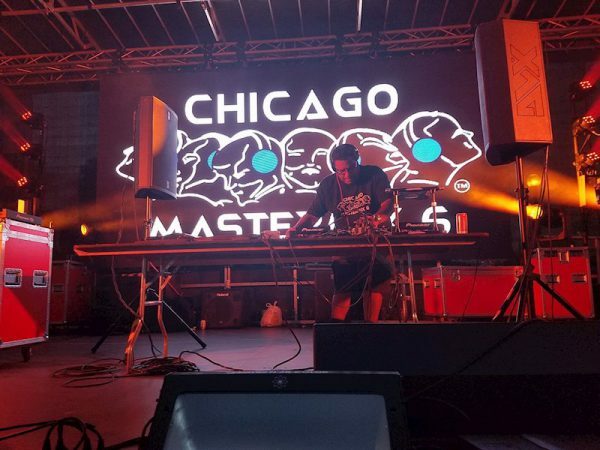 Working with a who’s who of Chicago dance musicians and talented folks from many other corners of the Earth, Warren has sculpted 11 dance tracks with a fresh sound that some are starting to dub Nu-House. Blending traditional house music with modern EDM, jazz, funk, disco, traditional Latin music, and more, the sound feels both new and familiar. Fans of 70s disco, 80s pop, and 90s club music will all find some comforting elements, while also being challenged to broaden their understanding and appreciation of exactly what dance music can be. Warren’s wide breadth of experiences and influences are on full display. That aforementioned impressive cast of role players on the album include Pepper Gomez (not the old wrestler, the pop singer and producer), soulful multi-horn specialist Ron Haynes of Game Changers, guitarist Mike “Champagne” Anderson, Miami songstress Elena Andujar, and many more. Every one of the players on the album has a reputation in their scene and several have big national followings. People unfamiliar with the dance music world may not recognize the names, but the pedigree is there. Fans of the house scene, especially those in Chicago and Miami, will find names here that they already know and love. Name recognition aside, the team assembled by Warren is extremely talented and the album proves that. Co-produced by MyMy Lady G (aka Pepper Gomez), the album showcases a knack for blending diverse musical styles, slick production, and catchy hooks into pitch perfect dance tracks. Check out the album below and if you only have time for a few tracks, may I suggest “How Do I Love Thee”, “Get On Up”, and “The Dark Storm”. Nice to meet you! Loved the article! Easy to read and full of info!